The free port it developed historically in Italy during the waning years of the Renaissance, when competition to attract trade from the burgeoning Atlantic sphere prompted some states to open their ports to foreign merchants and their goods. In time, the free port came to be defined as a territorial exclave endowed with its own economic policies, as a place where merchants could do business with minimal interference from state authorities. 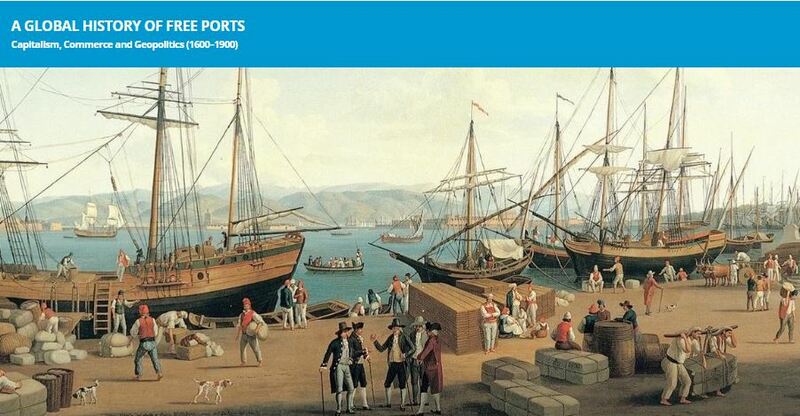 Between the late eighteenth and the nineteenth century the existence of free ports – as specific fiscal, cultural, political and economic entities with different local functions and characteristics – developed from an Italian and European into a global phenomenon. The free ports, ancestors of the modern special economic zone, were central to the trading systems in which they were situated, whether in brokering commerce between distant localities, plugging a host state into the circuits of international exchange, or servicing a network of more regional ports. The conference aims to explore in greater detail how free ports were established, how their functions were constructed, and how the ambition to wield administrative and political control over free ports played out in actual fact. This event is part of the project “A Global History of Free Ports: Capitalism, Commerce and Geopolitics (1600–1900)”. By communicating and integrating ongoing studies efforts, and by providing research materials, scholars within different (sub-)disciplines and with interests in various local or regional cases and aspects the research network hopes to promote interaction, the exchange of novel ideas and ultimately a wholly new, comprehensive and enduringly relevant understanding of the history of free ports.